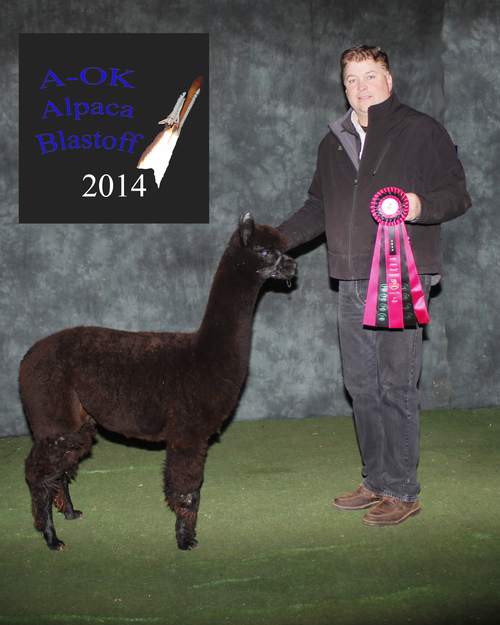 Accoyo Marksman's Moxy is a blue ribbon winner. 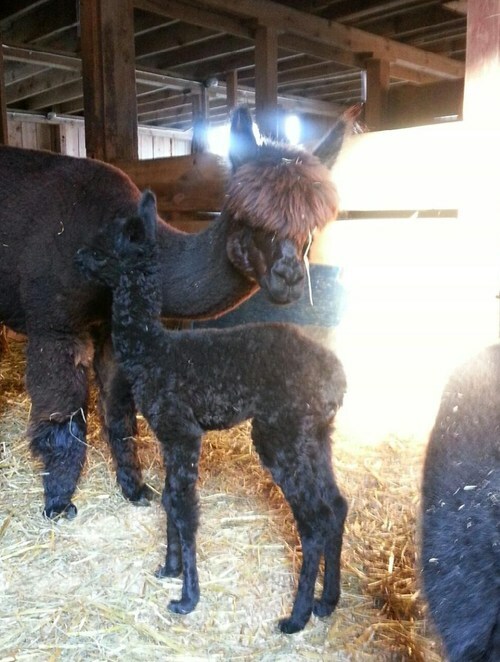 Her fleece has very nice crimp, and has a great handle. To boost this already impressive fleece, Moxy is great looking as well! 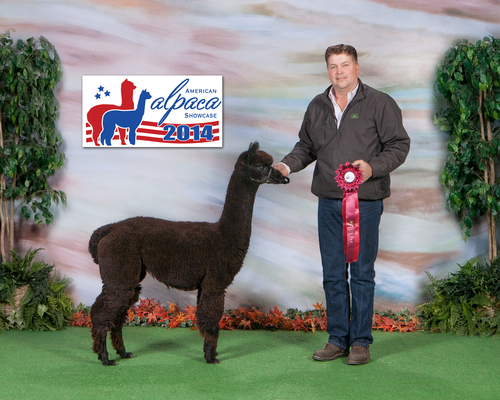 Moxy took a blue in a big class at the Great Midwest Alpaca Festival under the Judge who specializes in blacks, Peter Kennedy! So we feel that ribbon is well deserved. If you love blacks, look no further. This combo is sure to produce the next multi champion black! Irish Meadows Peruvian Macy is just what we ordered! She's a beautiful true black Jacob Black daughter. 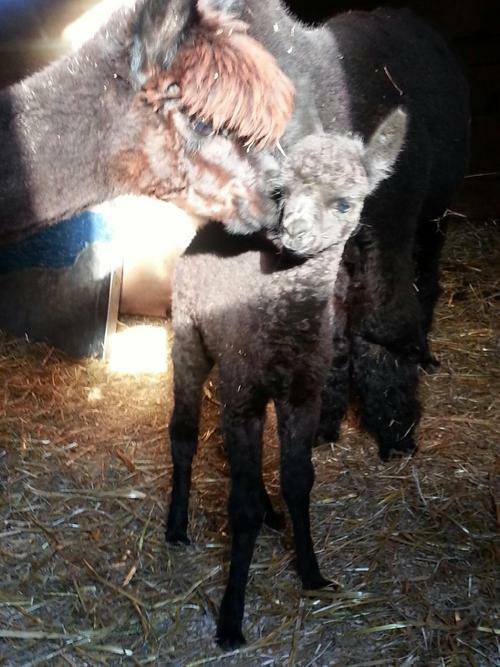 She is a first cria of Moxy, and let me tell you, Moxy is a very good mother. One of the best for a first time mom! Macy is for sale, but only because we are renovating a building here on the farm. She comes with her maiden breeding, of course. See Macy in the show ring, because she will be there at the top of the ribbons! 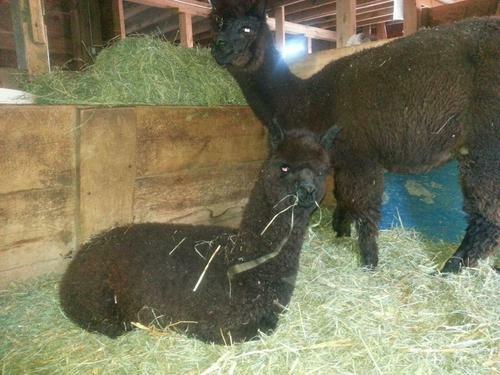 Update: Macy has a new female by side! 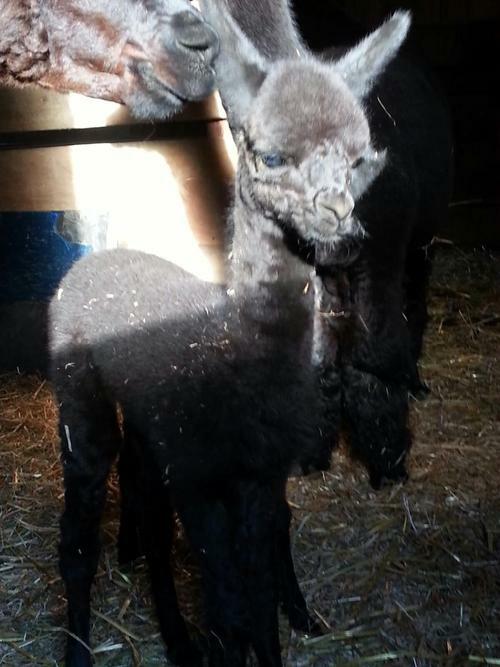 A light brown girl sired by The Elite Maximus! Both are available for sale!